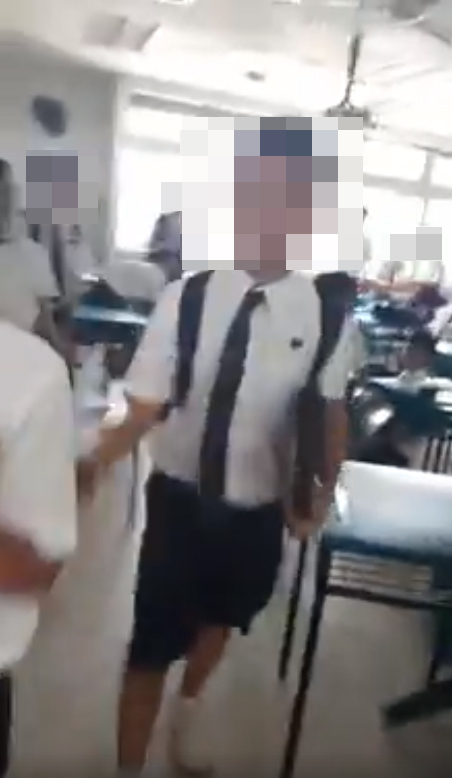 Amidst all the efforts to create an opportunity for world peace, a senseless classroom battle allegedly featuring Singaporeans students has emerged on social media. In a shocking 54-sec video, approximately 15 male students are depicted “wrecking” a classroom, without the supervision of a teacher. As the students appear to be underage, we have censored their faces to protect their identities. 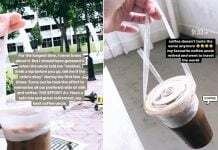 The viral video was reposted by All Singapore Stuff on Monday (11 Jun) and has received 3,000 shares at the time of writing. We summarise it after the jump. The video begins with a loud shout of “EH!”, after which a young boy grabs a chair and flings it onto the ground. He then proceeds to literally flip a table in the vicinity of the person recording the action unfolding. Slight laughter emerges from onlookers. 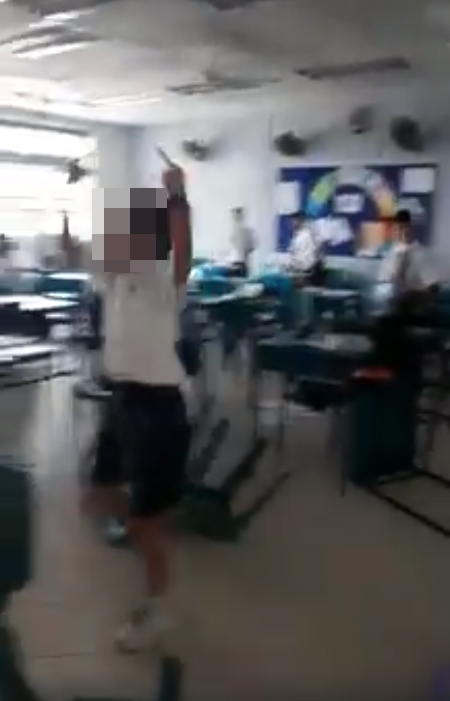 A student then crosses the frame in a victory cry with both middle fingers raised. Unfortunately, the video only gets more chaotic after this. 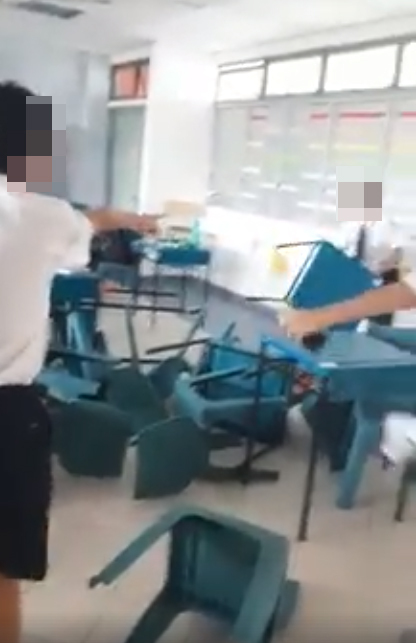 Other students soon join in the classroom “brawl” and continue to fling chairs across the room. Another student even picks up what looks like a whiteboard duster and tosses it onto the ground. The action then picks up speed and more chairs are captured flying through the air. One chair lands dangerously close to the videographer, whose camera shakes from the impact. Thankfully, not all the students in the class seem to join the brawl. Some are captured leaving the classroom at an urgent pace, while chairs and tables continue to be flipped behind them. 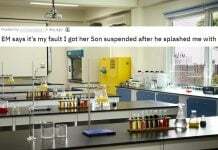 However, other boys stay in the classroom, allegedly laughing and enjoying the commotion. Two boys are then seen throwing a chair at each other in quick succession. A pile-up of four chairs and numerous tables occurs, as the boys gather around the overturned mess, yelling at each other. Nearing the end of the video, a lone boy seems to stand up to the boys who are systematically wrecking the classroom. OI! Do not break the tables and chairs! But his warning clearly goes unheeded as he’s seen being shoved by another boy instead. The senseless violence continues for another 15 seconds, coupled with further screams and giggles. It is not known what happens after the video comes to an abrupt end, as it was posted without further context. 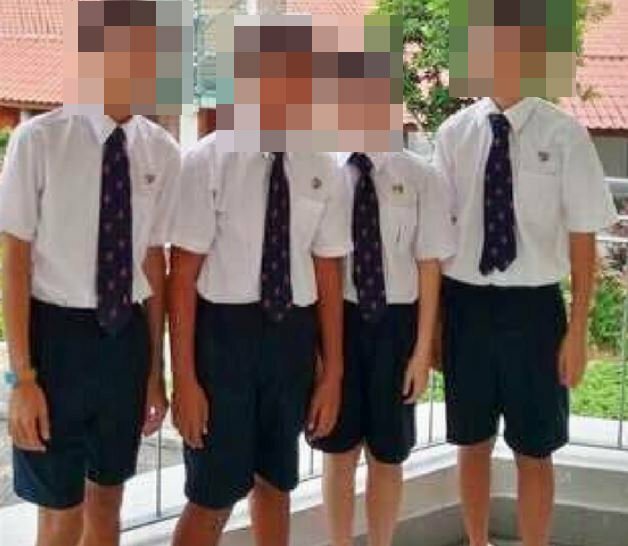 Viewers of the video have chimed in with theories as to who these boys are — placing their ages at either the lower secondary or upper primary level. 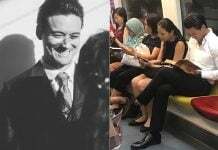 Eagle-eyed netizens have suggested that from the looks of the classroom, the students may be from Anglo-Chinese School (ACS) Barker. They’ve also scrutinised the students’ uniforms, to conclude that they bear a close resemblance to ACS Barker’s uniforms. We’ve reached out to ACS Barker for their official statement on this. In the meantime, we sincerely hope that the school involved will thoroughly investigate the matter. 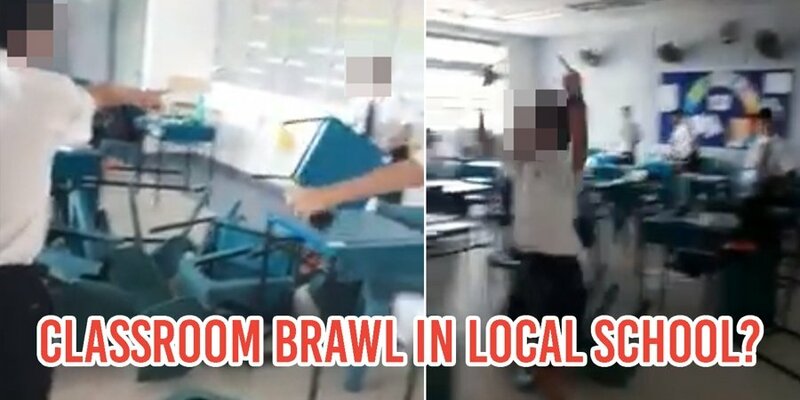 Most of all, we hope that no students were hurt in this extremely unnecessary classroom brawl. Featured image from All Singapore Stuff.